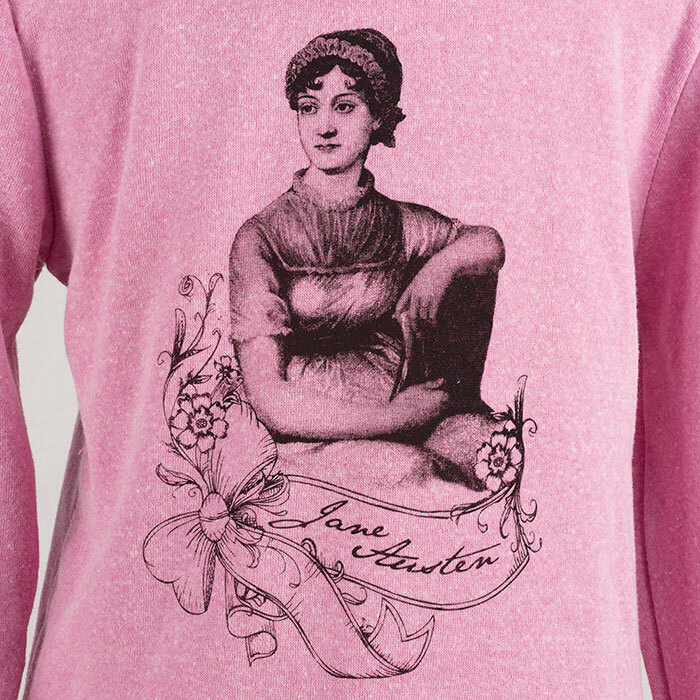 A knockout when it comes to style and comfort, the Alternative Apparel Rocky Hoodie features a design of mine of an ink bottle and quill on the front and a design based on a vintage engraving of Jane Austen on the back. 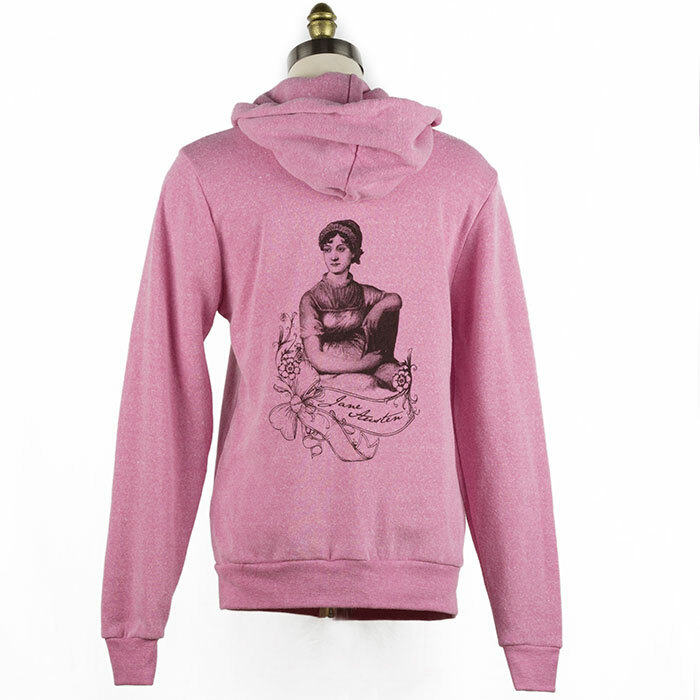 Design is printed in black on a heathered Eco True Pink or Eco Grey colored Hoodie. XS - Eco Grey 1 in stock. L - Eco Grey 2 in stock. 3XL - Eco Grey 1 in stock. L - Eco Pink 1 in stock. XL - Eco Pink 2 in stock. 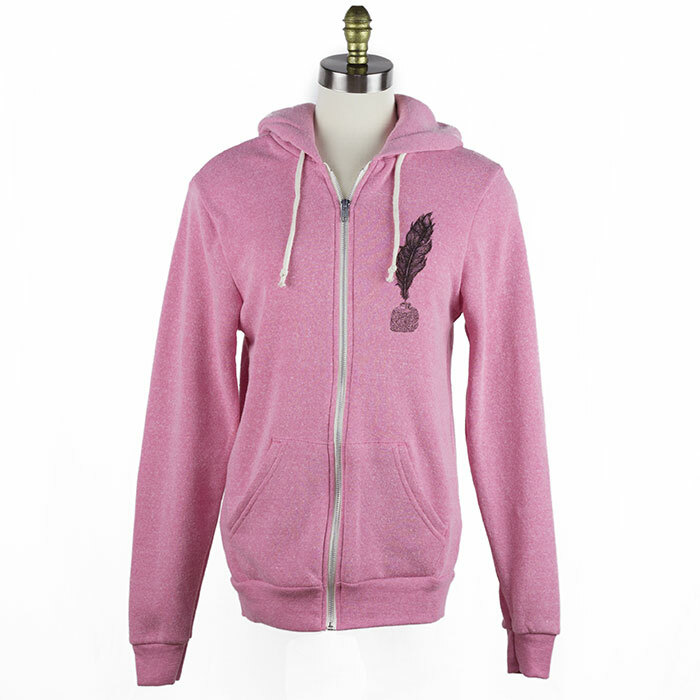 3XL - Eco Pink 1 in stock.